1.The numbers in the columns under “Number of shares held” are rounded down to thousands of shares. 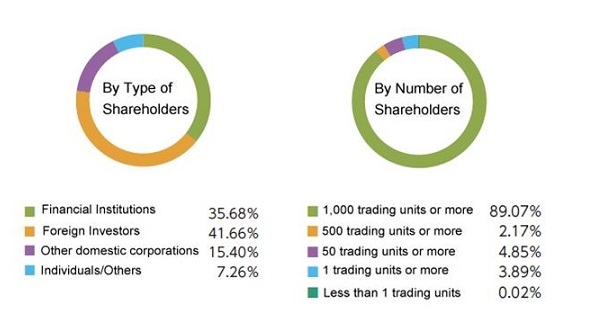 2.The shareholding ratio is calculated by using 222,591,366 shares (calculated by deducting number of treasury shares (3,534,779 shares) from Total number of issued shares (226,126,145 shares) and rounded to two decimal places. 3.The Company newly issued 51,600 ordinary shares for granting restricted stock shares to its Directors (excluding Outside Directors) and Officers upon the resolution of the Board of Directors on July 10,2017. Please refer to the rating agency's website for rating definitions.